North Lindenhurst is census designated place located in Suffolk County, on the South Shore of Long Island, New York. It is within the Town of Babylon. Lindenhurst is on the Great South Bay and is both North and South of Sunrise Highway (Route 27). As of the 2010 census, there were 11,652 people, 3,731 households and 2,930 families residing in the area. The median income for a household in the village was $76,028 and the median income for a family was $90,029. Males had a median income of $60,453 and $44,410 for females. The latitude of North Lindenhurst is 40.686N. The longitude is -73.373W. It is in the Eastern Standard time zone. Elevation is 30 feet. A sign within landscape welcomes visitors and residents to North Babylon, a census designated place in Suffolk County. The community has a pleasant small town fee with a population density over 6,000 people per square mile. This makes it attractive for those who don’t want to feel like they’ve been left out of the action provided by a larger community. Slightly under half of all households had children living in them. 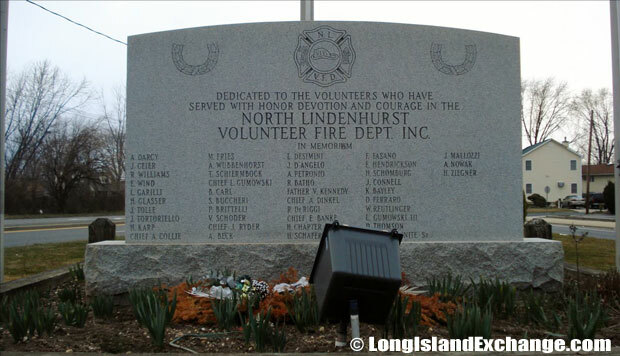 A memorial stone dedicated to volunteers of the North Lindenhurst Fire Department who have served with honor, devotion and courage in North Lindenhurst, located on Wellwood Avenue at Straight Path. 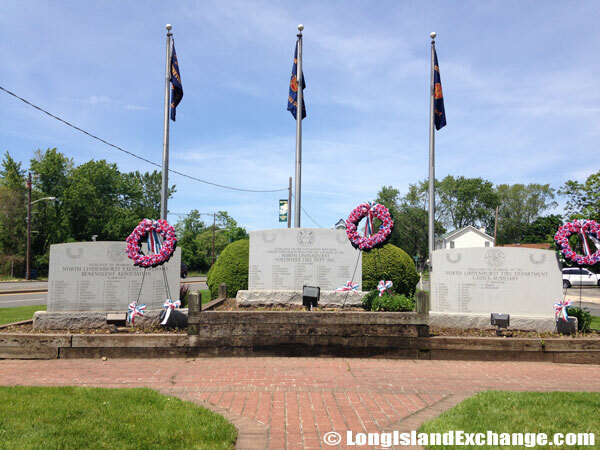 Memorial stones dedicated to the volunteers of the North Lindenhurst Fire Department at Wellwood Avenue and Straight Path. Over half of the households in North Lindenhurst are homes to married couples. There is also a somewhat vibrant retired community, with around 8 percent of the remaining households used as dwellings for singles over the age of 65. Around a quarter of the population is under the age of 18, which reflects the large number of families who call the area home. 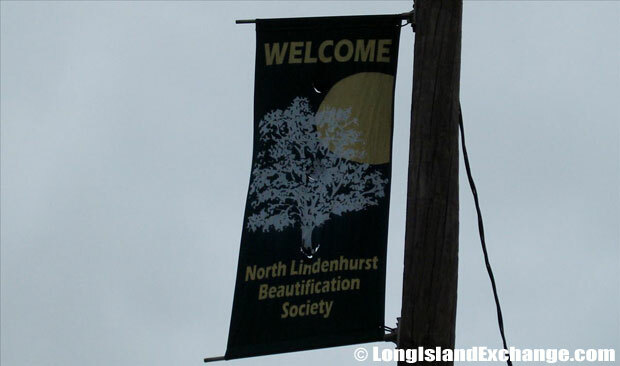 A telephone pole banner welcomes visitors and residents to North Babylon, by the North Lindenhurst Beautification Society. Immigrant communities are growing in North Lindenhurst. Slightly less than 20 percent of the population is made up of immigrants, and a quarter of residents use a language other than English at home. This changes the face of local businesses in the area with immigrants opening up new stores and restaurants. The North Lindenhurst Fire Department, located on Straight Path at the intersection of Wellwood Avenue. 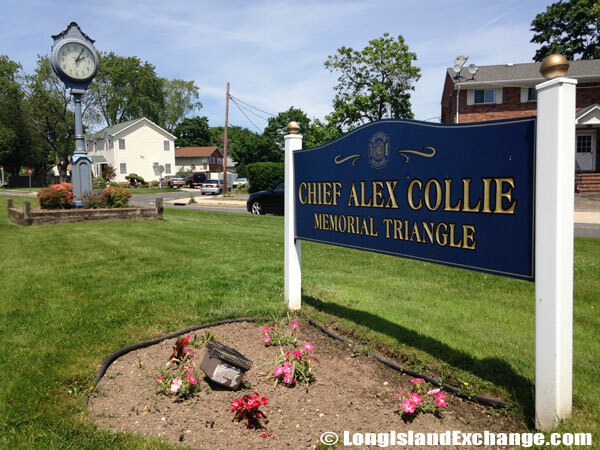 The Chief Alex Collie Memorial Triangle, at Wellwood Avenue and Straight Path. 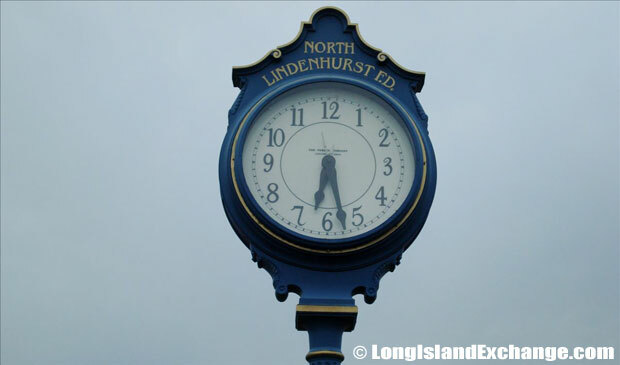 Many people consider North Lindenhurst to be part of the Lindenhurst community proper because the Lindenhurst Post Office and School District service most of the town. While this doesn’t actually make the town part of the rest of the community, homeowners have been relatively happy with the school district’s performance. Almost 86% of residents over the age of 25 completed high school. Around 16% of those students already completed college. While most residents have to register their children with the Lindenhurst Union Free School District, there are a few other districts that make up the community. Three residential blocks off Albany Avenue are served by the Copiague Union Free School District. A smaller part of town goes to school in the Farmingdale District. 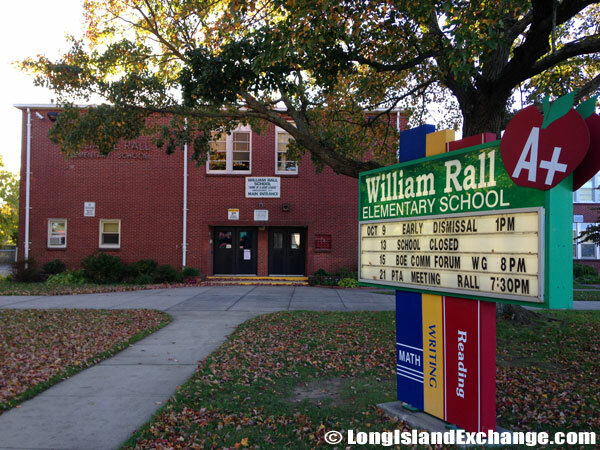 Nevertheless, there’s actually only one public school in North Lindenhurst which is William Rall School. A two face clock at the Chief Alex Collie Memorial Triangle, at Wellwood Avenue and Straight Path. William Rall Elementary School, 30 classrooms for students in Kindergarten through 5th Grade. The average commute for most residents report a half hour drive. Traffic isn’t too bad on most days, and with some working in nearby North Amityville. Those who regularly take day trips to that area end up at the Sisters of St. Dominic Motherhouse Complex. The convent is still in use, and it was added to the U.S. National Register of Historic Places fairly recently. Anyone who visits the Town of Babylon will certainly want to spend a day at the beach. Gilgo Beach, Oak Beach and Overlook Beach are all popular destinations for North Lindenhurst residents who want to take a break from the hustle and bustle of daily life. 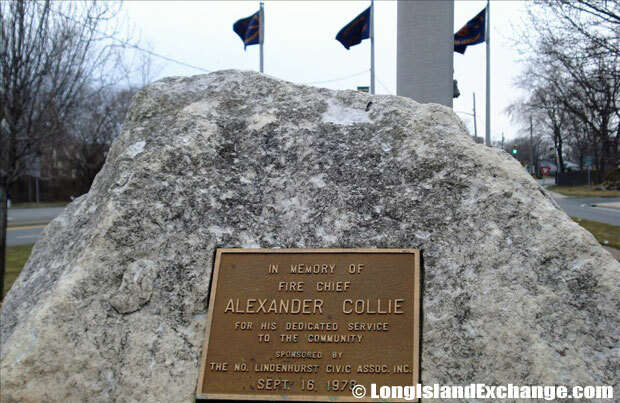 Chief Alex Collie Memorial Triangle, at Wellwood Avenue and Straight Path. Life in North Lindenhurst is modern and convenient and the village is pleasant. Children can look forward to a high quality of life and advanced educational facilities. The local administration is well organized and the value of real estate is likely to appreciate with time. 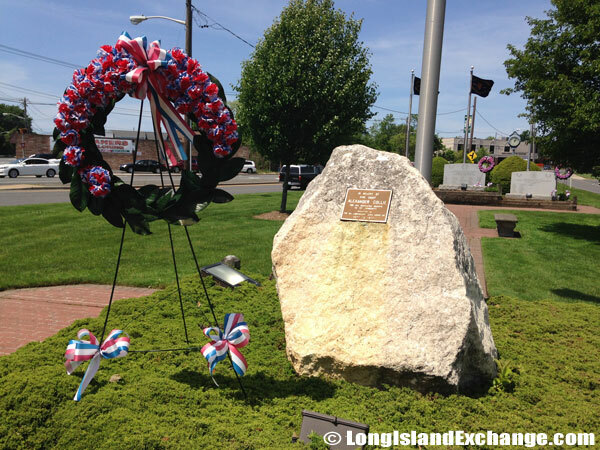 North Lindenhurst is excellently located in an area rich with all kinds of cuisine and bars. It is most convenient to drive short distances for evening entertainment and relaxation.